It is crucial due to the potential costs of upgrading hardware and software technology to plan for changes every 4 or 5 years. If you budget a thousand per year per person in the firm there will be less of an impact on the bank account when changes are required. There is no insurance for failing technology unless you buy extended warranties for hardware, and remote daily backups for data, software can only last until its compatibility to operate on an upgraded computer. It is also crucial to provide staff with training on new software, company policies and procedures to be more efficient, keep the status quo and mitigate unintentional risk to the firm. Don’t assume the school they just graduated from will be all they need. Assess how much mobile technology is needed based on what the needs are for your lawyers and other timekeepers. Historically we have determined that lawyers will bill up to 20% more when they are using applications that time their work whether in or away from the office. While this may be at the bottom of my list, it is the first and most important aspect to mitigate risk of yours and your clients’ information. As a consultant who works to implement and configure trust accounting software for law firms, we must always keep security of the same as a priority. As business managers we make every effort to protect data and email with antivirus software, and therefore we must review and update frequently to ensure protection is current. We also must ensure that wireless access is also password protected as well the actual data can further be password protected as well. Passwords – all of us are familiar with the used o passwords or software keys and pin numbers for access, from the garage door opener, banking, on our work or home computing and more. Encryption – can be of the password type to a more sophisticated software to change the information before it is written (copied) to another location. Physical Locks – cables or locks that attach to desktops and laptops to deter its removal from the office just like the physical locks at your building and office. Tech that holds data and information and programs within the four walls of the office. On peer to peer networks this information to be accessed within a local area network(LAN). Tech that holds data and information and programs at a trusted location not located within the four walls of the office. These wide area networks(WAN’s) that can be accessed using Virtual Private Network (VPN) access or third party software that use an internet browser. Any computer or device, using your credentials (username and password) to a URL (Uniform Resource Locator or the website address) to access your programs and data. I like the idea of primary client credentials that access a User Interface that serve one or more programs. Then password protected Practice Management software. Cons – are that some devices may not display the information in the same way. While the cost of the server in house hardware and technical upkeep is eliminated, the cost of hosting will be an ongoing cost as a subscription. 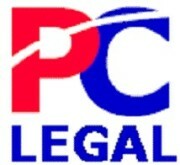 This entry was posted in Updates and tagged Legal Technology, Security. Bookmark the permalink.